The mysteries grow deeper and the secrets darker in the second volume of the New York Times bestselling Books of Elsewhere series. 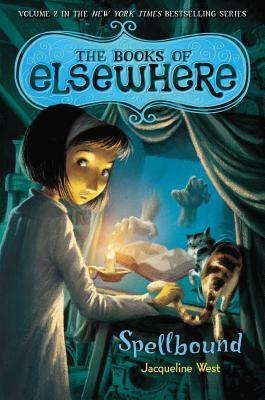 With no way into the McMartin house's magical paintings and its three guardian cats reluctant to help, Olive's friend Morton is still trapped inside Elsewhere. So when Rutherford, the new oddball kid next door mentions a grimoire—a spellbook—Olive sees a glint of hope. If she can find the McMartins' spellbook, maybe she can help Morton escape Elsewhere for good. Unless, that is, the book finds Olive first. The house isn't the only one keeping secrets anymore. You'll never guess what happens next in this thrilling, chilling fantasy series, perfect for fans of Pseudonymous Bosch, Coraline, and Septimus Heap.